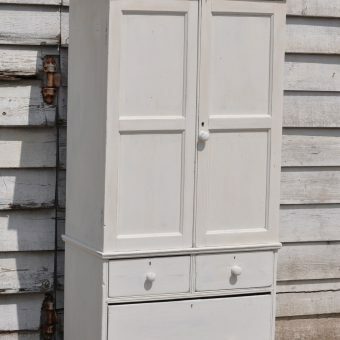 A beautiful example of an original American 1930’s cart with metal wheels and an old pine timber top. 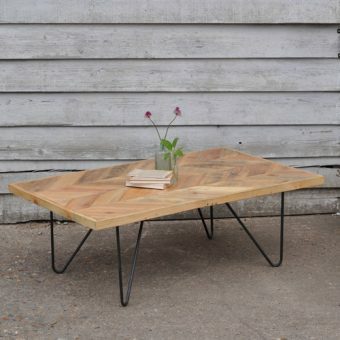 This table has lovely proportions and a stunning original timber top. The wheels are original and have a lovely aged patina. 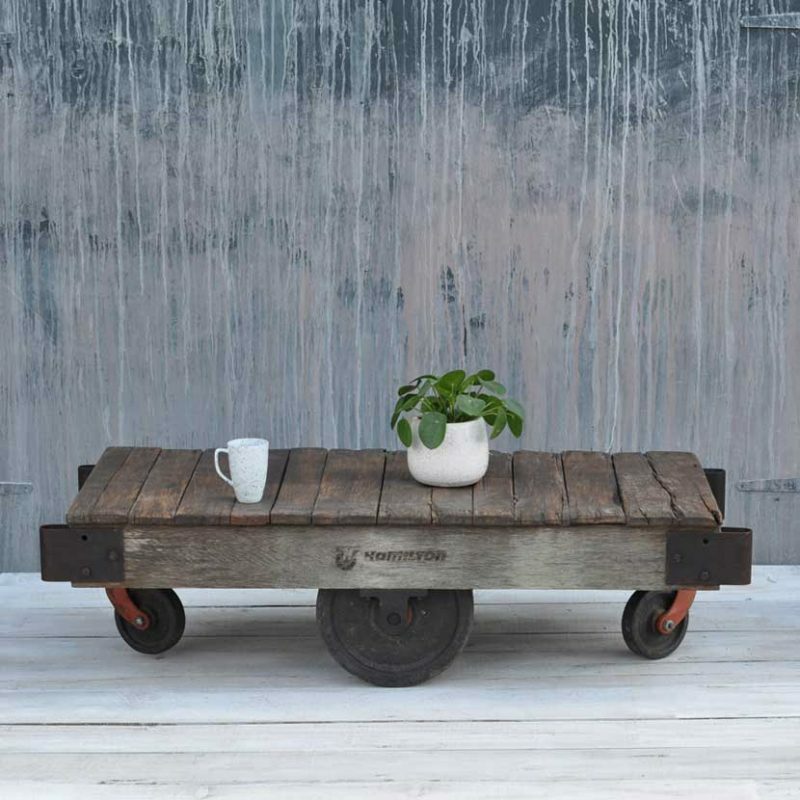 We have 3 Vintage Industrial Factory Wheeled Cart Coffee Tables in stock but the dimensions vary slightly, all are a great size for a coffee table. Please expect rustic condition of the timber, these carts are truly vintage. 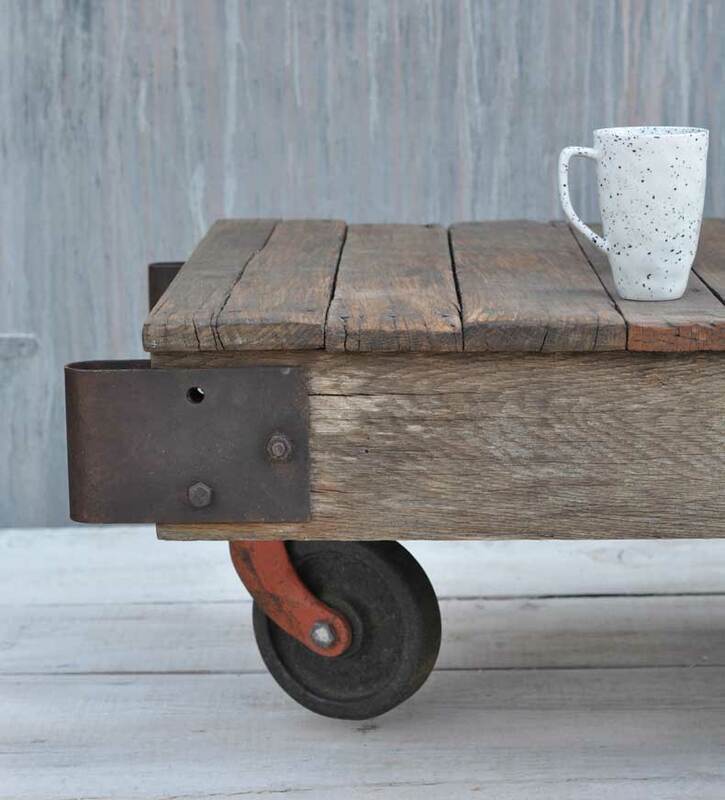 Size varies slightly from item to item, each coffee table cart is totally unique in patina and level of wear. Product may vary from image. 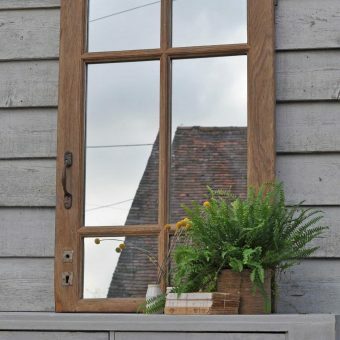 Homebarn is situated just 25 Miles west of London in an area of outstanding natural beauty in the Chiltern Hills . The River Thames runs through the historic market town of Marlow just a mile along the road. Marlow and nearby Henley on Thames are worth a visit for their lovely shops café’s and notable Michelin starred restaurants. Nearby you will find the renowned Rebellion Brewery and the renowned Hope & Harrow vineyard. Almost everything is online so you don’t need to leave the house to pay us a visit! However, if you really want to have the full Home Barn experience then you will have to visit us and perhaps go for a country walk, have a pub lunch and buy some fresh eggs from the on-site farm shop. 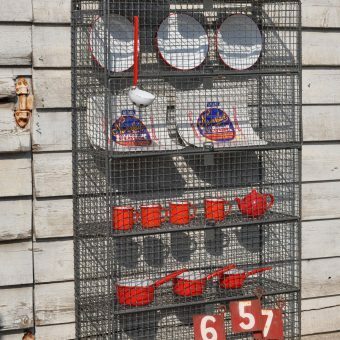 If you fancy a day out in the countryside then Home Barn is well worth a proper old fashioned browse. We welcome muddy dogs and we also have a play table for small children. Home Barn Lifestyle is open to the public 10am-4pm Tuesday to Saturday and 11am to 4pm on Sundays. 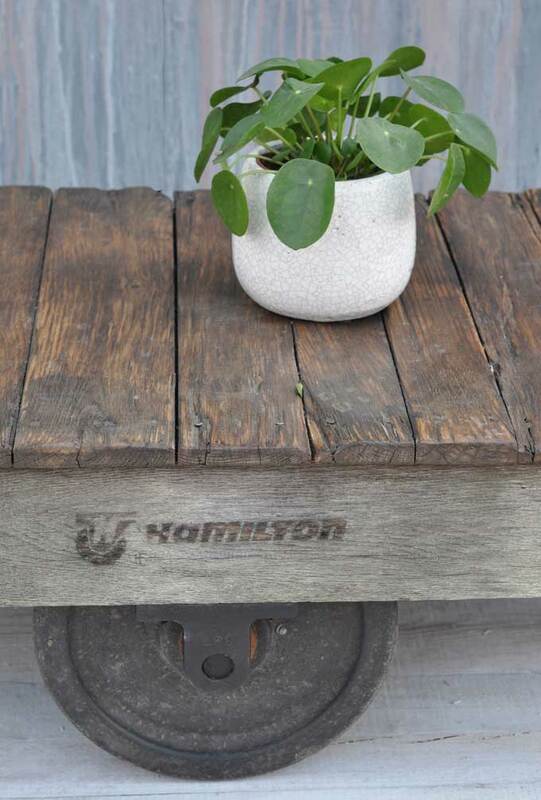 Tags: american cart coffee table, antiquebarn, coffee table, factory, home barn lifestyle, homebarn, industrial, iron, marlowbarn, modernrustic, salvaged, table, timber, vintage, vintagefurniture, warehouse, wheeledcoffeetable.